Why carry around an ordinary pen when you could have one that could save your life, or even capture DNA from an attacker? 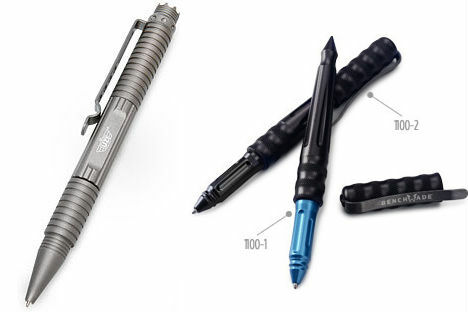 The Benchmark 1100 Pen by Benchmade has a kubotan-style pointed weapon made of either anodized aluminum or stainless steel hidden within its body, while the Uzi tactical pen hides a ‘DNA Catcher’ in its crown, which not only injures attackers but takes a sample of their blood. Both pens also function as glass breakers. Curious about your neighbor’s land, or just want to snap some aerial photographs for more innocuous reasons? 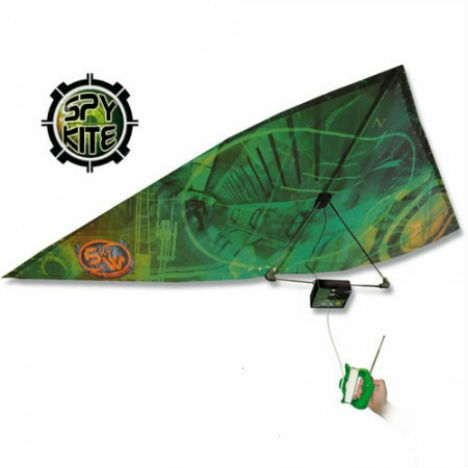 The Spy Kite by Eolo mounts a cheap digital camera to a kite with about 82 feet of string, taking photos via wireless remote. Low-tech and low-cost, the kite is not exactly CIA-worthy, but might make you think twice about any wayward kites you see hanging over your home. We install peepholes in our doors to protect ourselves, allowing us to identify anyone at the door before we open it to them. But those same peepholes can easily be used against us. 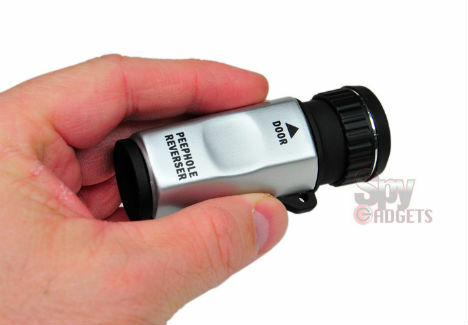 A simple gadget called a peephole reverser, also known as a tactical door viewer, was developed by law enforcement, giving them a look at activity inside a dwelling without alerting anyone inside. It’s all too easy to listen to someone’s conversation using little more than a laser beam. Laser microphones use a laser beam to measure the vibration of sounds on a surface, usually glass windows, transmitting those sounds back to the listener’s receiver. 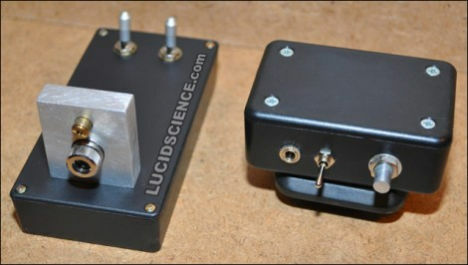 DIY instructions abound on the internet, including this tutorial by Lucid Science. Robotic-looking dragonflies and other insects have been spotted at political events and protests in Washington and New York, hovering over antiwar rallies. While no government agency admitted to deploying the robots, the technology has been in the works for decades and some entities have admitted that they’re currently trying to perfect it. 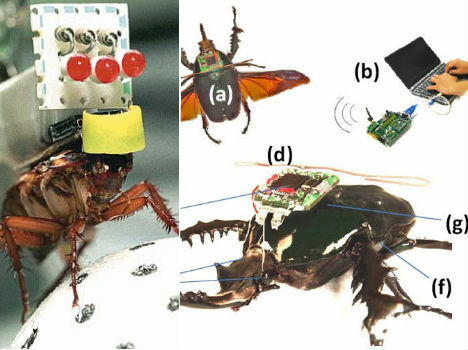 Because replicating the flying motions of a live insect tends to be inefficient, researchers may soon turn to flying cyborg insects like the beetles and roaches instead. 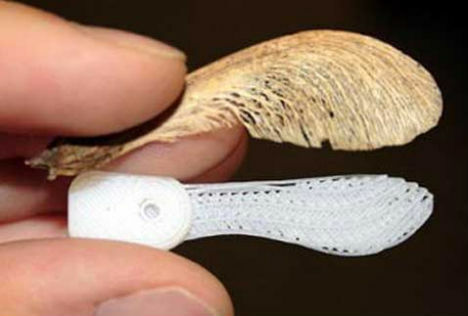 Is that a maple seed spinning down toward the ground – or a covert micro-camera designed by Lockheed Martin? 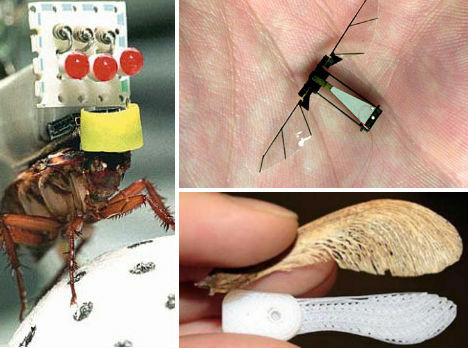 The defense contractor is developing a tiny camera based on the seed, which will have two tiny jet boosters to help steer it and keep it in the air. Lockheed plans to disperse them over war zones to monitor conditions, find survivors in disaster areas and even detect chemical and biological weapons. Need to scan a document on the sly, as quickly as possible? 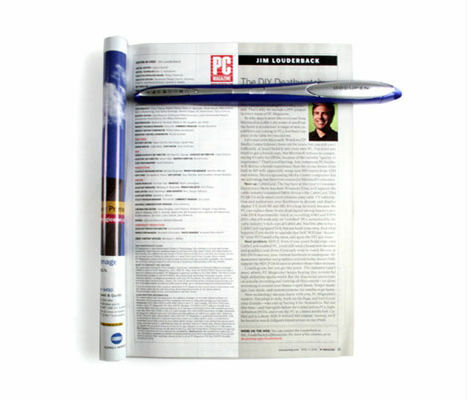 The Docupen by Planon is hardly bigger than a regular writing instrument, but pass it over a sheet of paper or a photograph and it will capture and store the documents, ready to be uploaded via USB or Bluetooth to any computer. 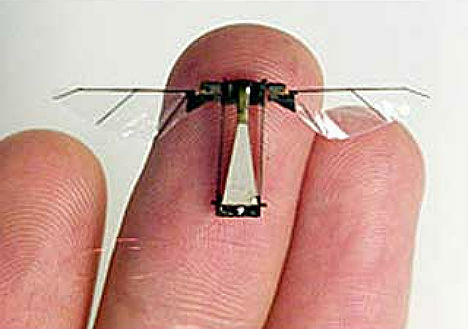 It’s hard not to be paranoid about amazingly tiny hidden cameras when they’re as stealthy as this. 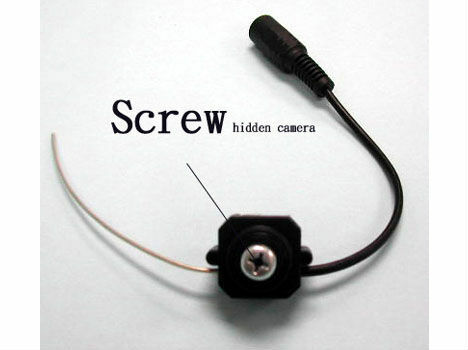 A tiny wireless camera is hidden in the head of a screw, transmitting live video to your television or recording it on a VCR. All it needs to operate is a single 9 volt battery. 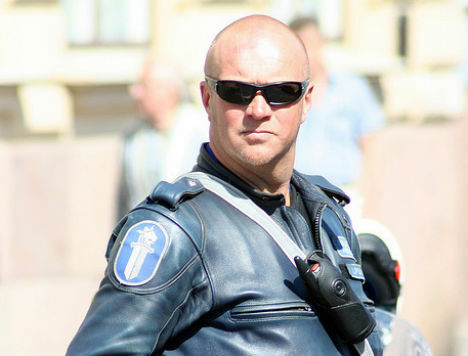 These cameras are inexpensive and widely available. The last thing a spy wants is to have his or her own data stolen. Going beyond encryption and biometrics, a new form of magnetoresistive RAM will render data unusable if the chip is compromised. Philips is currently developing the technology, which wraps the chips in two layers of soft magnetic foil, one of which is magnetized. The other layer acts as a “keeper” by gathering flux from a permanent magnet and maintaining a closed loop around the data. If a thief rips open the foil, the magnets erase the data.